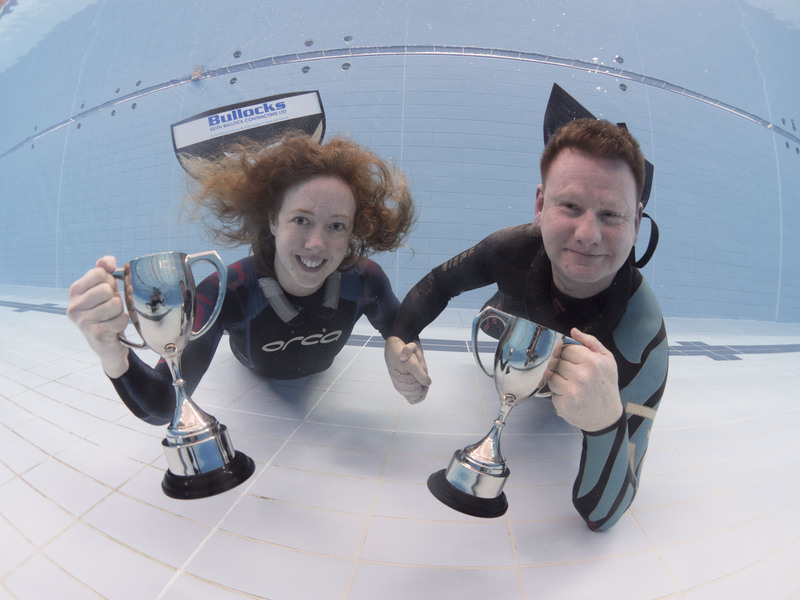 Thirty athletes competed last weekend at the annual Freediving Pool Nationals in New Zealand, with defending champions Guy Brew and Kathryn Nevatt taking their titles once again. The competition, which featured the Static, Dynamic with Fins, and Dynamic No Fins disciplines, had competitors from nine different countries. Additionally, nine National Records were set across those three disciplines. Athletes competed in three “Grades”: Men’s, Women’s and Recreational. The Recreational grade allowed newcomers to freediving competition to get coaching and feedback from the judging team. 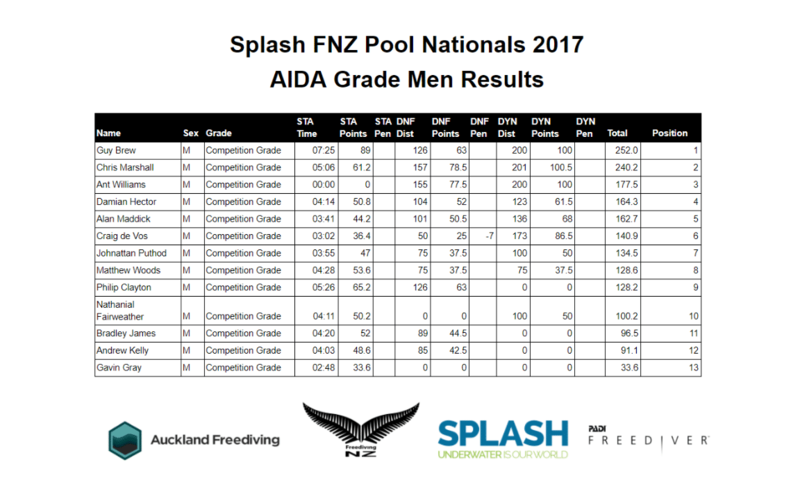 Overall Recreational winner Ben Laurie, who represented the Auckland Freediving Club, earned three white cards on his way to the title. In addition to the nine national records broken, the competition also resulted in more than 17 personal bests. 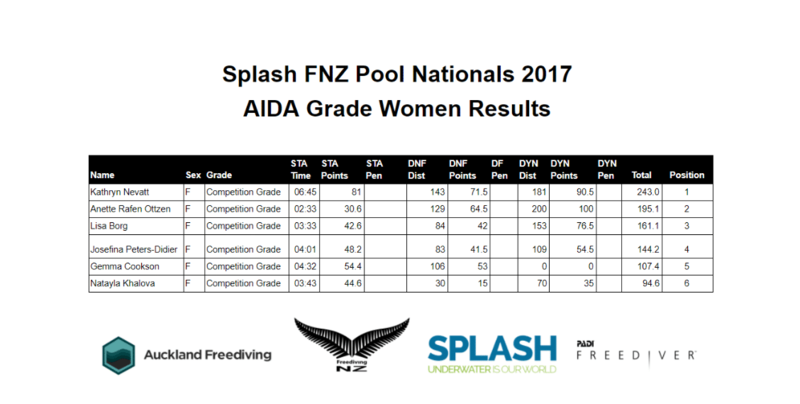 Here are some other interesting numbers: The total time of White-Carded Static breath holds by competitors was 52 minutes and 56 seconds; total distance swum in the Dynamic With Fins discipline was 3,152 meters/10,341 feet and 2,512 meters/8,241 feet for the Dynamic No Fins discipline. 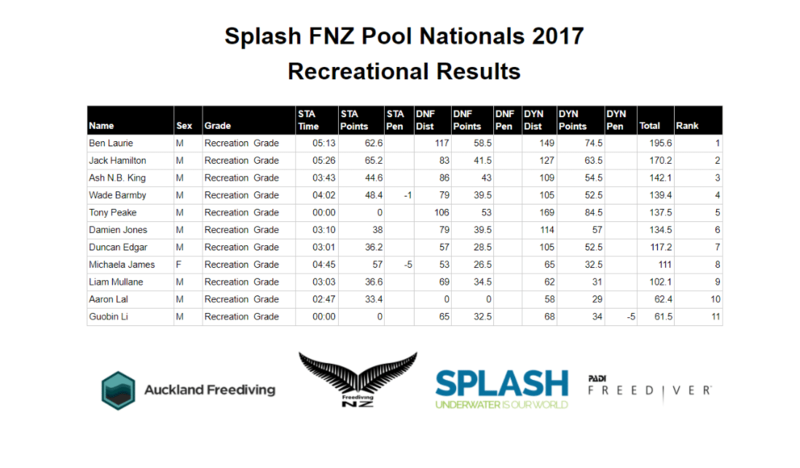 For more info, go to the Freediving NZ website or check out the results below.